Editor's Note: This post was originally published 7/21/16, and as of 7/05/17 has been updated with 2017 info. Now in its 58th year, Newport Folk Festival has been graced with legends from the get-go. And while you're sure to have your mind blown if you're front and center inside Fort Adams, Newport Folk is also one of the best opportunities to hear music the best of all possible venues: the stern of a boat. Read on for some tips on how to raft up and rock out. If you didn’t manage to get yourself a ticket to get into Fort Adams, all is not lost: find yourself a friend or family member with a boat and you’re golden. This is where the party truly lies, anchored just off the rocky beach of the fort. Because while the lucky ticket holders may be taking in the sights or traveling from stage to stage, the boat-goers are doing just about whatever the hell they want. From rafting up 7 boats deep to paddle-boarding with a beer-stocked cooler as a lawn chair, the water crowd at the festival was having almost too good of a time. Before we get to the part where you're tossing water balloons at strangers from your new make-shift beer flotilla, let's cover some logistics on how to safely enjoy Newport Folk Fest by Boat. Get there early. The music starts at 11am each day, so plan on some other early-rising boats getting there by then. Protip: Anchor downwind of the music – check the wind direction for midday/afternoon with the WindAlert app. Boats closest to shore tend to run a stern anchor out, so if you have a second anchor and a way to get it close to shore, that's a plus. Be mindful though – if you get there early (before noon), there’s a 90% chance the wind will shift, and having a stern anchor out could cause problems for you and boats around you. If you're not rafting, you should be underway circling – don't tie up to the seawall, and don't attempt to go into the private dock area at the end of the park. Cable crossings are well-marked with C C buoys in both the inner and outer harbor. They shouldn't be an issue if you anchor far enough away, but if you anchor on top of one or anchor upwind and drag back over them, you could run into trouble and lose an anchor to the bottom of Newport Harbor. You'd be far from the first. Newport Harbor is a busy channel, home to thousands of boats throughout the summer; anchoring overnight is strictly forbidden. 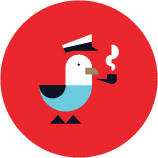 If you're in search of a place to dock or moor, we might know a guy. One of the amazing things I've found after a few years of Folk: if I don't know the bands playing, that means I'm about to discover a new artist who will completely blow my mind. (Phosphorescent as well as Shovels and Rope in previous years.) So on Saturday, Chicano Batman and Robert Ellis in the afternoon, and The Avett Brothers and Wilco closing out the last two sets of the day. Sunday brings Folk crowds with John Paul White, Pinegrove, and Whitney. John Prine hits the Fort stage as the sun starts to set to close out the weekend. As seems to be NFF custom, we wouldn't be shocked if there were a few last-minute line-up additions and surprise guests. Download the free Newport Folk Fest app to keep track of your favorites and get last-minute announcements and schedule changes. If you're having trouble hearing over the other boats, you can listen online with the official Newport Folk Fest TuneIn channel via desktop, iPhone and Android. To go commercial-free costs $7.99/month, but you can sign up for a 7-day free trial. (Convenient, no? Thanks, Folk!) 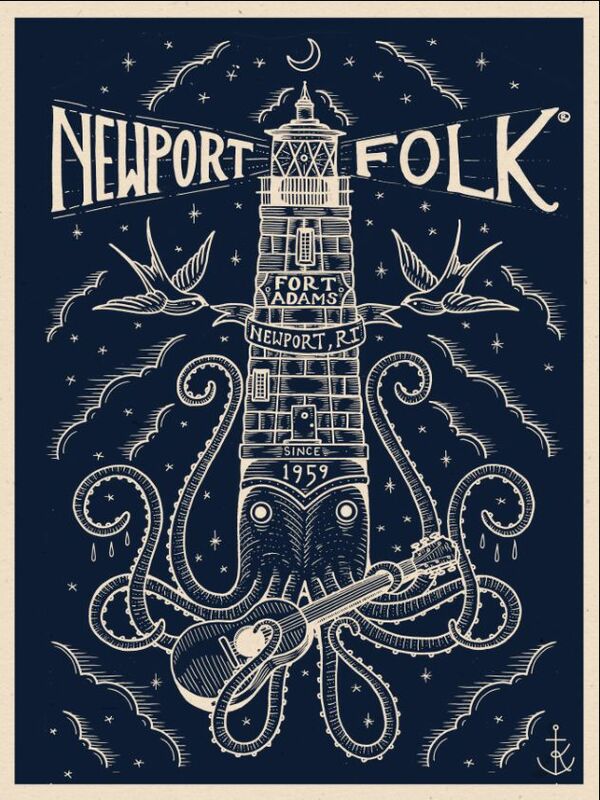 If reading about the bands has you wishing for a day on land, use Newport Folk's fan-to-fan ticket exchange to buy tickets safe from scalpers. We could, for the sake of this post, claim that Folk is our town's biggest spectacle, but Newport's a busy destination all summer long. So since our dockmasters are excruciatingly familiar with hectic weekends like this one, you're in terrific hands and will receive top-notch service despite the chaos. In Newport, you have loads of options, and Jamestown's marinas and boatyards are well within striking distance to the Fest as well. If you stay at Conanicut Marina, you have easy access to Jamestown's charming downtown, with quaint restaurants, bars, provisions, etc., and you'll practically be able to see Fort Adams from the mooring field. If you did buy tickets to the fest, Conanicut Marina runs a ferry to Newport – this not only takes a lot of the headache out of transportation, but saves you an uncomfortable dinghy ride if the conditions are anything but calm. If traveling to the Fort from Newport, take the $20 (round-trip, cash-only) ferry shuttle from near the Newport Yacht Club. Whatever you do, do not get in an Uber to go to the festival – between the hour of stand-still traffic and obscene surge pricing, it'll be the most expensive air-conditioned ride in a 2008 Nissan Altima you'll ever experience. Boating can sometimes be a hobby of peace and solitude. This is not one of those times. Get ready to make friends, share beers, learn a little guitar, smoke some 100% legal cigarettes, and rock the Folk out.